STROFT® GTM is produced using a multi-level tempering (heat-treatment) process to remove material stresses formed during extrusion, cooling, and drawing. Simultaneously, silicon and PTFE (a type of fluorocarbon) molecules are diffused into the surface to increase tensile strength and maintain suppleness. The extensive development behind this process yielded a product declared the overall best fishing line by a German body similar to Underwriter's Laboratory in North America. 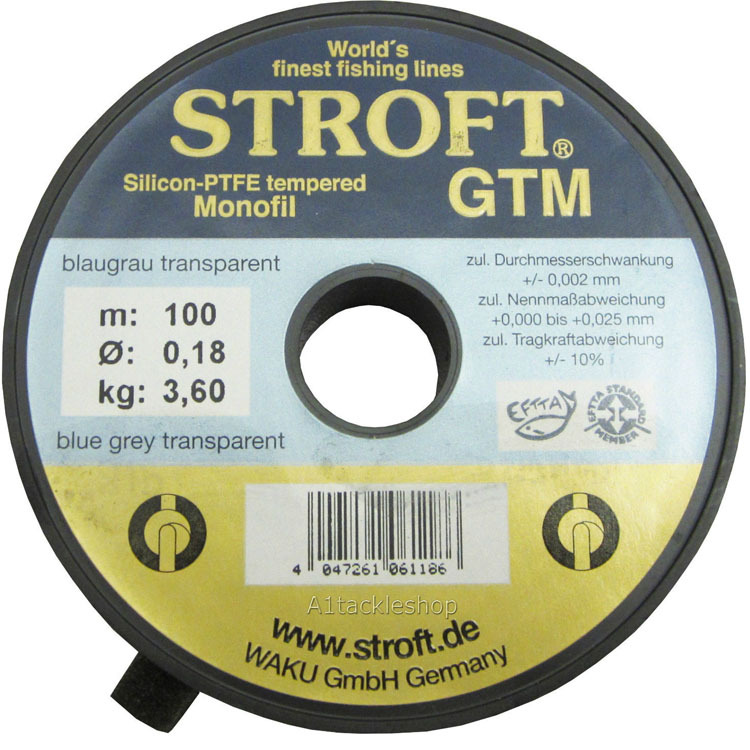 STROFT® GTM is the monofilament of choice for most fishing conditions.